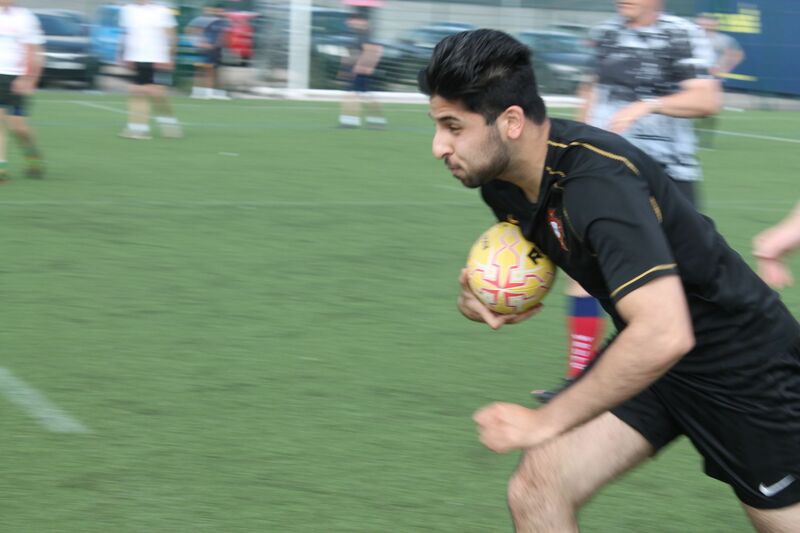 The tournament bought teams to together from businesses and companies across the North West to play the non-contact form of the sport, in an event that combined sporting competition and business networking, on a beautiful summers evening in Salford. The tournament was joint hosted by the Red Devils Foundation and Warrington Wolves Foundation, who both work tirelessly in their communities to encourage people to engage in sport and live healthy lifestyles. Despite being co-hosts, the two foundations played each other in a ‘friendly’ match to win the Super League bragging rights, in a game that saw former England team mates Shaun Briscoe and Adrian Morley face off against each other. Salford came out on top in the friendly, beating the Wolves 2-1, and local fitness initiative FitToTackle won the overall tournament after a fantastic performance in the final.